Not long ago, we gave you a heads up that this special Serbian ring was on its way and here it is. 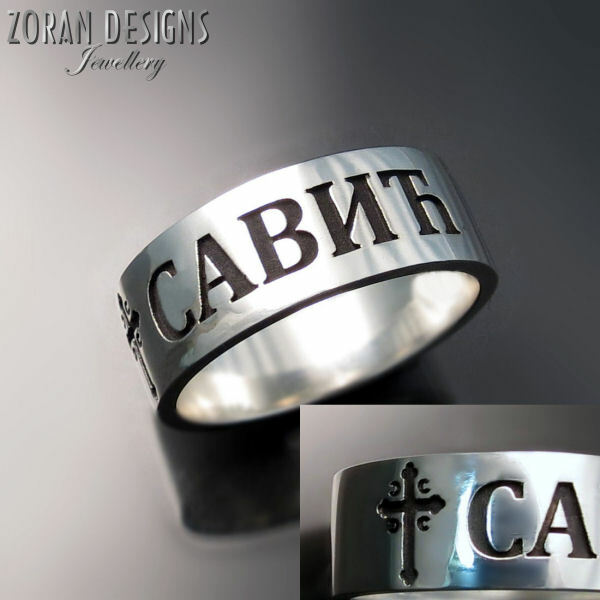 With options that can be customized (such as choice of gold karat and colour, your name in Serbian Cyrillic alphabet or standard Latin alphabet, with or without the Serbian Orthodox 4Cs cross), you can change the variants to suit your preferences. Follow the link for details and pricing.